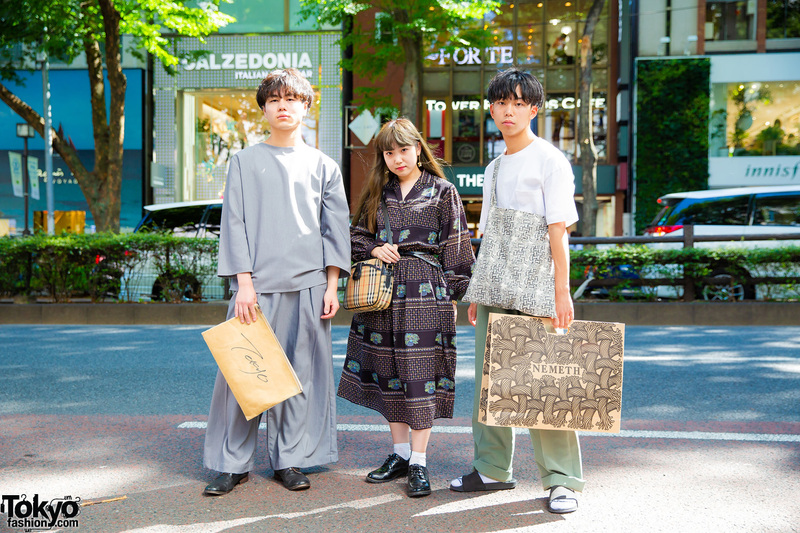 Japanese students wearing vintage street fashion in Harajuku. Japanese girl showcasing silver floral hand-me-down street fashion in Harajuku. Harajuku girl in monochrome fashion wearing a black and white colorblock dress, platform creepers, a pouch bag, floral ring and statement eye earring. Harajuku girl in a minimalist fashionable ensemble with black shirt, midi skirt, patent sliders, a floral tote bag, and vintage accessories.